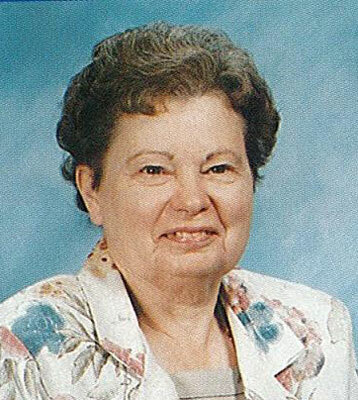 POLAND - Services will be held Thursday, at 11 a.m., at the Good Hope Lutheran Church in Boardman for Sara “Jean” Davis, 83, who passed away Friday morning at Greenbriar Health Center. Jean was born Aug. 7, 1930, in Canton, the daughter of George and Mildred Arnold Davis. She graduated from Youngstown’s East High School in 1950, and was employed as a bookkeeper for many years, retiring from American Paper in 1994. Jean was an active member of the church, serving as treasurer of WELCA and Ruth Circle, as well as participating in the Boosters and Fun Timers organizations. She very much enjoyed traveling with Fun Timers whenever possible. Jean also took part in many activities as a resident of Shepherd of the Valley Poland condo community. She especially enjoyed learning to play bocce in their summer league. Surviving her are two sisters, Virginia (Leo) Lundgren of Laughlin, Nev., and Sue (Donald) Meeker of Poland and two brothers, Charles (Marjorie) Davis of Valencia, Pa., and George (Mary Lou) Davis of Johnstown. Also left to cherish her memory are 11 nieces and nephews, Joy (Gary) Reed, Glen (Barb) Lundgren, Gail Lundgren, Dean (Ann) Lundgren, Donna Meeker, Brian (Colleen) Meeker, Mark (Diane) Davis, Cynthia (Norb) Dietrich, Craig (Kim) Davis, Dale (Jody) Davis, and Lora (Billy) Williams. In addition to her parents, Jean was preceded in death by niece Jill Lundgren and infant nephew David Meeker. Friends may call Wednesday from 6 to 8 p.m. at the Davis-Becker Funeral Home, and Thursday from 10 to 10:45 a.m. at the church. The family requests material tributes take the form of contributions to the Good Hope Lutheran Church Memorial Fund, 98 Homestead Drive, Boardman, OH 44512. Please share your memories of Sara Jean.